How many times have I eaten lunch in my classroom while working? Plenty. Did it leave me feeling accomplished, satiated, and ready for the second half of the day? Rarely. 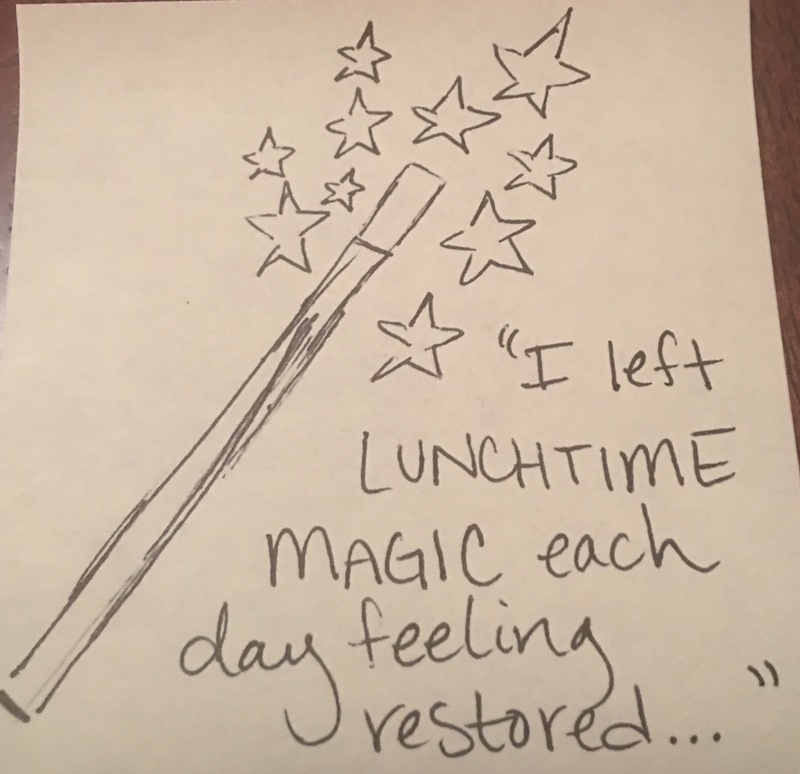 At my first school there was a fabulous young lady who planned the daily activity of Lunchtime Magic. The concept was simple: come to a teacher’s room and eat lunch with other adults while talking about adult things. I left Lunchtime Magic each day feeling restored, invigorated, and ready to tackle the rest of the day living in the land of 12-year-olds. When I left that school, Lunchtime Magic was harder to find. But I still made it a point to get out of my room, find another adult I like, and eat lunch with them while talking about adult things. Teaching is hard and I need a break. Lunchtime is the perfect opportunity. How do I manage my IAs/Paras? We aren’t their supervisors but we are the leader of the classroom. 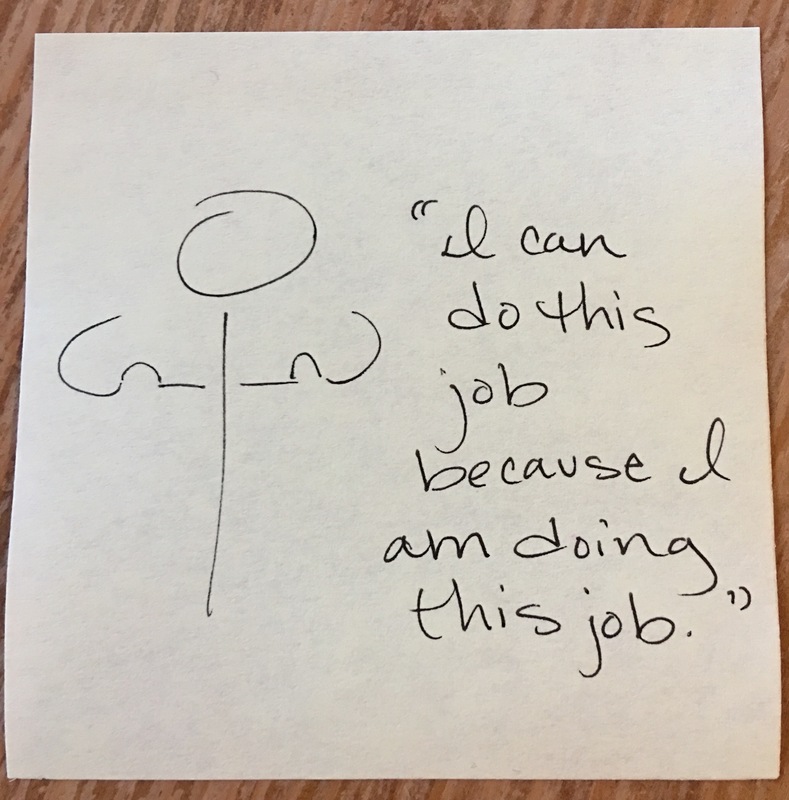 Instructional Assistants (sometimes referred to as IAs or Paras) can at first seem like just another thing to manage. But if I do a little work up front, these educators can help me capitalize on the little time I have with students. Most IAs welcome the direction and are happy to have a clear purpose in the classroom. 1. Brainstorm ways I think my IA can help me or my students. Before doing this step, it is important to talk to the special ed, ELL or other department leader who assigned the IA to my class. A lot of clarity and direction can come from one conversation with this leader on the intention of the IA placement. 2. Schedule a meeting with my IA. 3. Create a document for my IA detailing their roles and responsibilities. I place mine on a clipboard in an easy location for the IA to grab. 4. Schedule regular check-ins with my IAs and put these on my calendar. Here’s what I do when a student is mildly disruptive, disrespectful, or avoiding work. Stop: I stop near them without saying anything and give them a chance to correct themselves. This works most of the time. Students inherently want to be good. 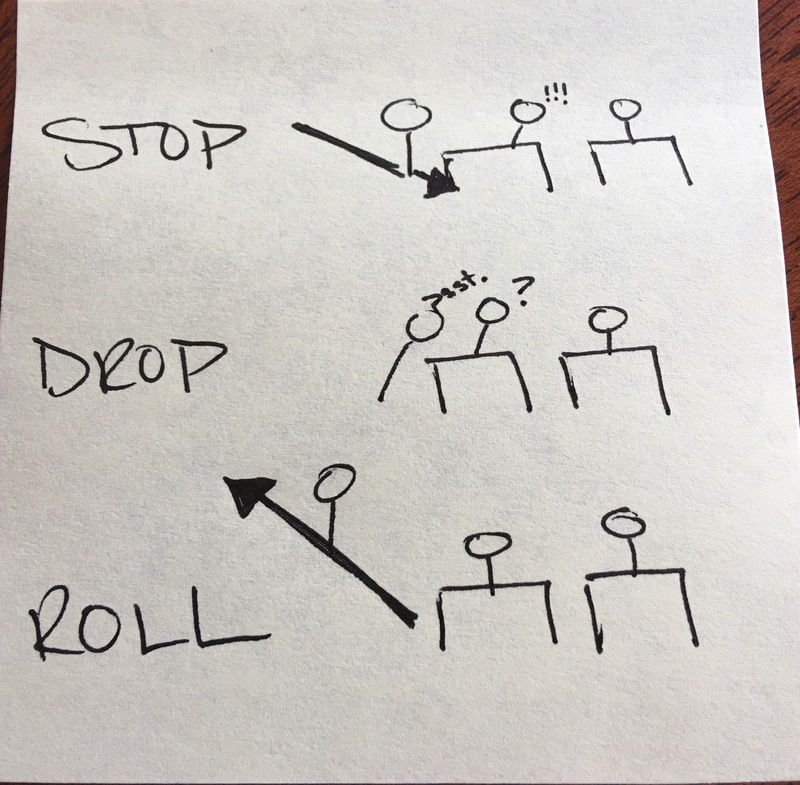 Roll: I roll on immediately after the redirect is given and return to check in with the student in 3-5 minutes if the behavior continues (most of the time it doesn’t). 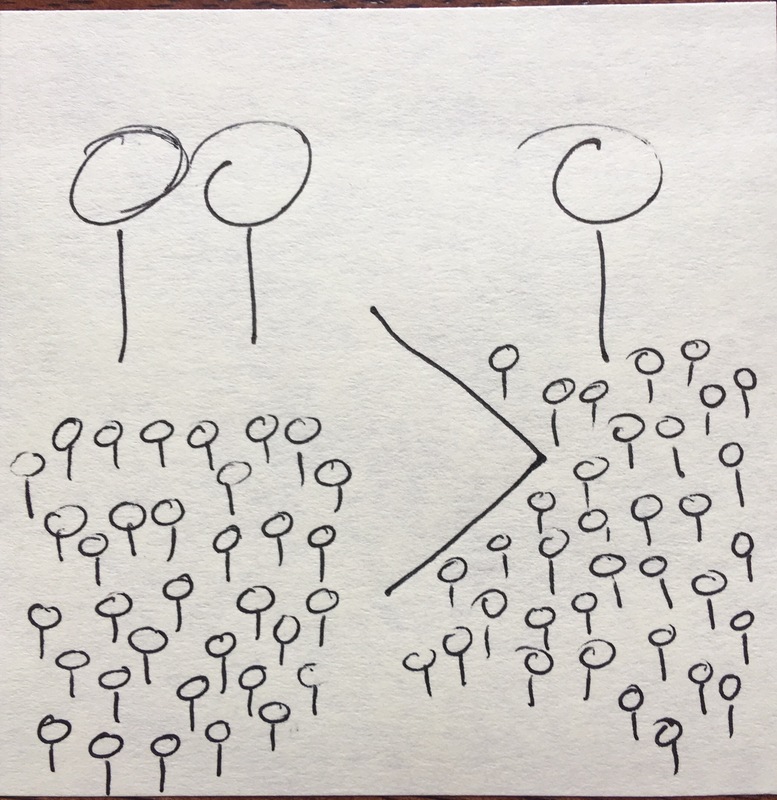 Note 2: Special thanks to the amazing teacher-turned-principal that taught me this strategy during a graduate class at Seattle University. I golf. I rarely get invited to golf because I’m a girl but that’s talk for a different day. A golf instructor once gave me excellent advice at the driving range. 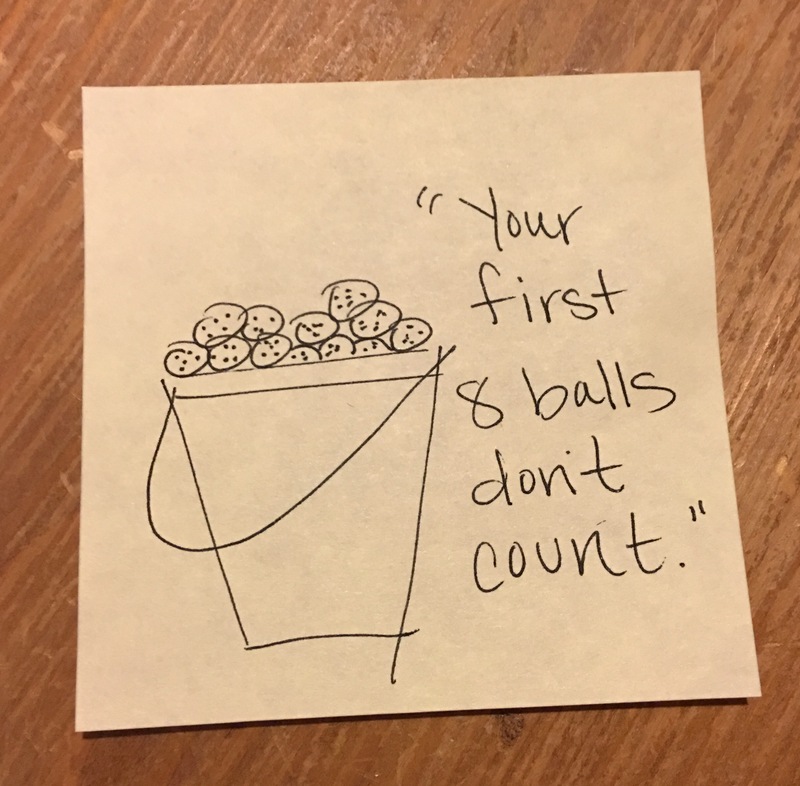 She said, “Your first 8 balls don’t count. Don’t get too frustrated or stressed and definitely don’t lose hope. Just swing, take note of how you felt, and swing again.” The parallels between this comment and the first month of school are extraordinary. Rather than 8, I would say I usually need 20-30 days to get my groove and even then I might lose it and need to re-evaluate my swing. I try to be kind to myself that first month. I go in each day, swing, and then step back and note how I feel. At the end of 30 days, or sometimes sooner, I start to see patterns of things that are working and things that aren’t. This is when I make big moves. But I have to give myself some days that don’t count in the beginning. I have to get warmed up. There are more balls in my bucket; I’ll focus on those. 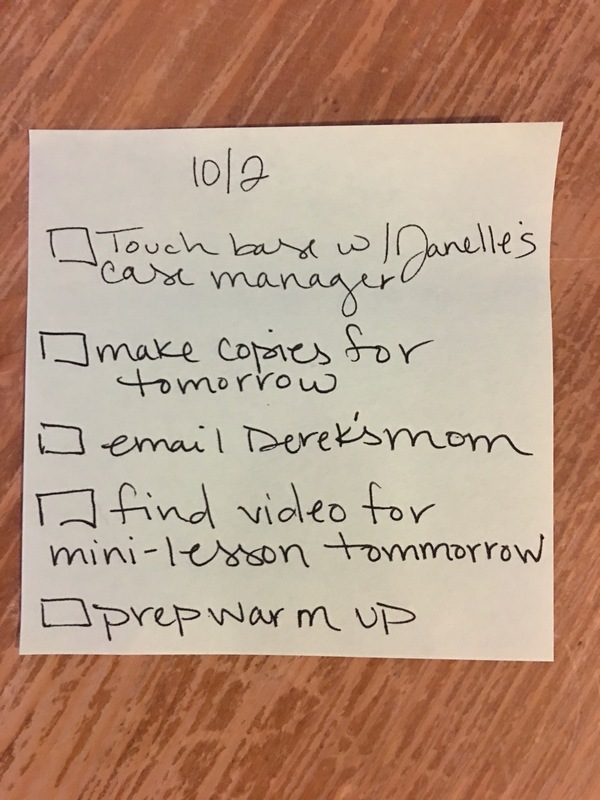 Teaching is a never ending to-do list. I know that it is impossible to get everything done. There are days where I just need more time. But when I can’t have more time, I need to decide what is the most important. Halfway there. It’s encouraging not because I’m halfway to summer break but because I made it halfway. And if I made it this far, I can definitely make it to June. Too often, I look back and feel like I haven’t done enough or I’ve left too much undone. This might be true but if I can re-frame and look at the past as a list of things I did (that happened, I did that), then it’s much easier to be positive in the face of round two. And round two needs my optimism and determination. I have to make space for the second half to be its own thing and it won’t be if I’m still stuck in November wishing I’d followed through with that classroom management plan I initiated. I can do this job because I am doing this job. The essays were due back in October. It is now December in my first year of teaching. Report cards already went home. Yet, the towering pile remains. I haven’t read a single one, and there are more recent assignments that need my attention. What do I do with these forgotten essays that make me feel like a bad teacher while collecting dust on my desk? Sometimes I need to be OK with the fact that I didn’t finish something I started. Sometimes I just need to recycle them all and start fresh. I don’t appreciate people enough. The janitor who chats with me after a long day while sweeping my messy middle school classroom. The counselor who rushes to my class moments after I call with an issue. The librarian who allows me to send kids to her library on a whim. The special education teacher who is a tireless advocate and expert listener. The nurse who makes my students feel cared for. The mentor teacher who puts things in perspective. The principal who asks me how I’m doing. The student who comes in early to take down the chairs. The office assistant who makes my copies when I’m in a bind. The sports coach who holds my students to the highest of standards. The PLC that asks big questions. The co-teacher who is my balance, my strength, and my inspiration. So how do I share my gratitude? I make it a priority. 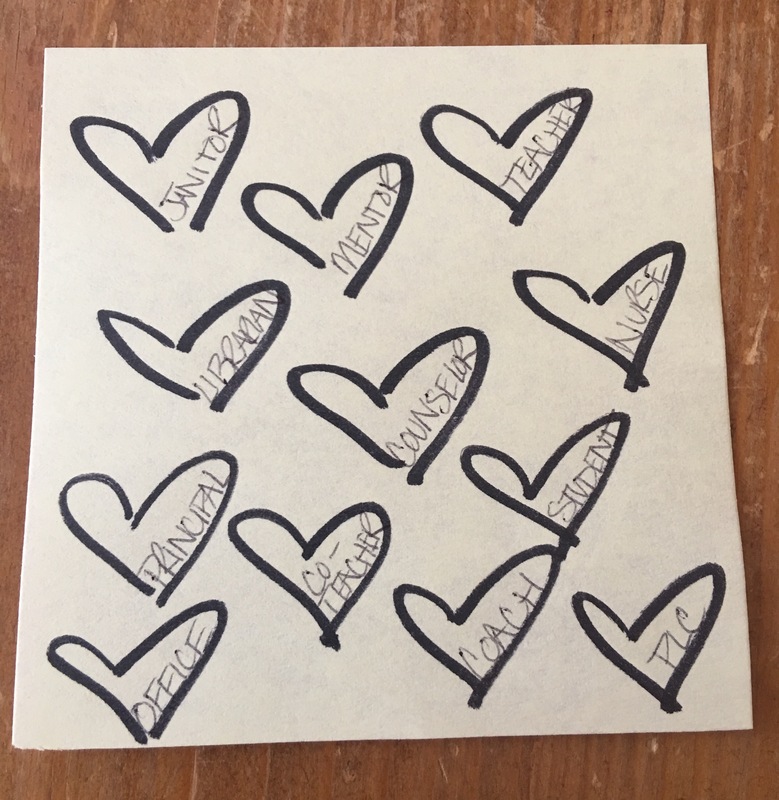 I put it on my to-do list. I stop when I see them in the hall to say thank you. Or I leave a small gift. Or I write a quick note, email or text. These people make all the difference in my school community and deserve to know. If we only talk about problems, life gets depressing real quick. I am in this profession because I find it rewarding, funny, uplifting, and challenging. I try to disengage with the chatter that involves blaming the principal, the vice principal, the district, Common Core, parents, the system. Talk like this wastes my time. The autonomy I have in my classroom day in and day out is overwhelmingly powerful. 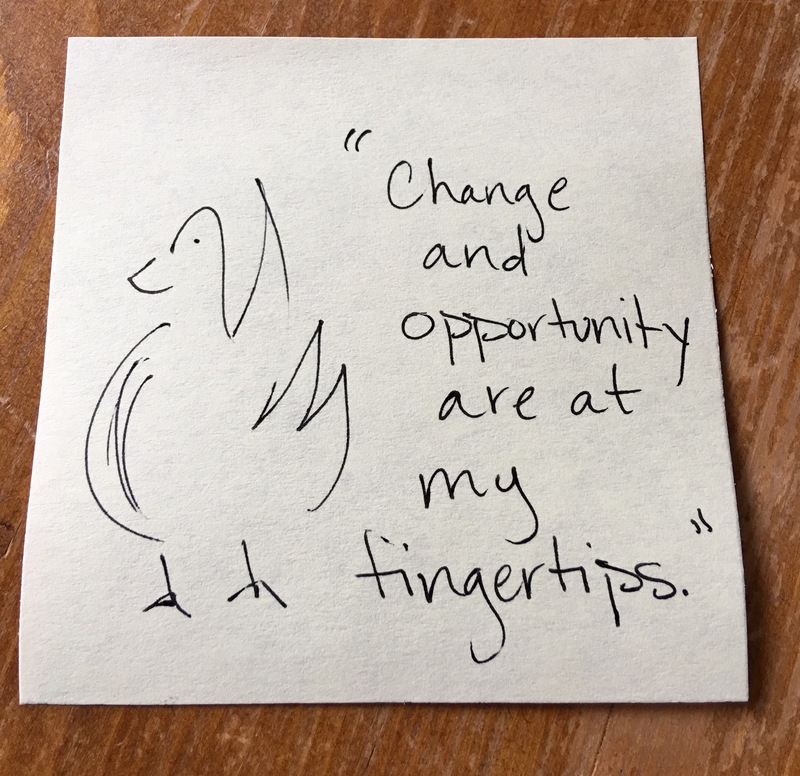 Change and opportunity are at my fingertips. If I can see the sky as limitless instead of falling down, I am a happier teacher and my students benefit. We agree on an agenda at least 2 full days before the meeting. 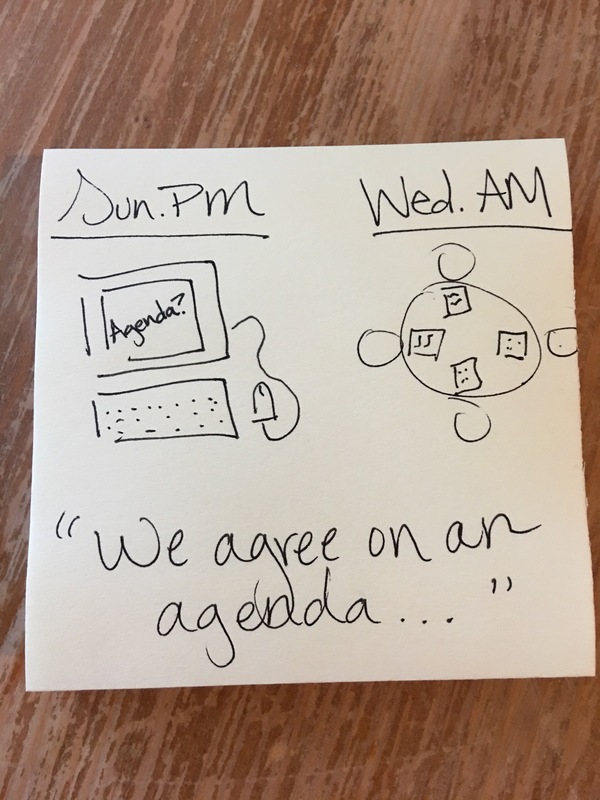 Our agenda focuses on student work or student behavior. We all come prepared and leave with an action item.